Historic finds are common on construction projects in older cities like London or Rome, and the same applies for their smaller neighbours. 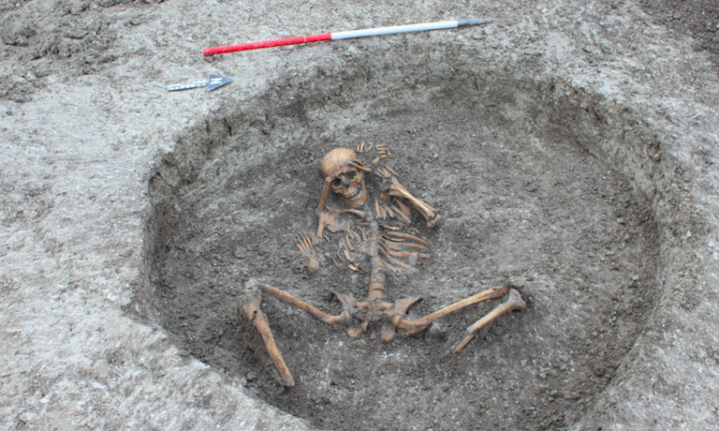 Oxfordshire is a county in southern England dating back to the 10th century, but a stunning discovery there of 26 human skeletons, some believed to have been part of “human sacrifice,” offers a visceral reminder of how closely modern cities overlap on top of history. “The new Thames Water pipeline provided us with an opportunity to examine a number of previously unknown archaeological sites” says Neil Holbrook, chief executive of Cotswold Archaeology, which consulted with Thames Water during the project, in a press statement. For Thames Water, the find elevates a standard environmental project into a sign of the region’s deep history, allowing residents to enjoy the same environment that people have for thousands of years. “We’ve found significant historical items on many previous upgrade projects but this is one of our biggest and most exciting yet,” says Chris Rochfort, Thames Water environmental manager.